View of the Bagagem diamond mining area, ca. 1930. Coromandel is primarily an agricultural center in western Minas Gerais state, but local miners and small companies have long processed lateritic soils and alluvium in stream valleys for diamonds in an area within about 80 km of the city. This area has been known as the Coromandel diamond district since early in its history. The city of Coromandel is near the geographic center of the district. Coromandel had become the principal hub of the diamond trade in western Minas Gerais in the 1700's, but the city of Franca in São Paulo state has since taken the top ranking because of its better-developed infrastructure and proximity to the major industrial city of São Paulo. Only those streams in the Coromandel district and surrounding areas that dissect uplands formed on Upper Cretaceous sedimentary and pyroclastic strata have proven to be prospective for diamonds, suggesting that the Cretaceous beds are the source for the diamonds. Interestingly, 98% of diamonds mined in Minas Gerais were produced from alluvial deposits of modern streams, and the remaining 2% are from Neoproterozoic conglomerates (Chaves et al., 1993). Karfunkel et al. 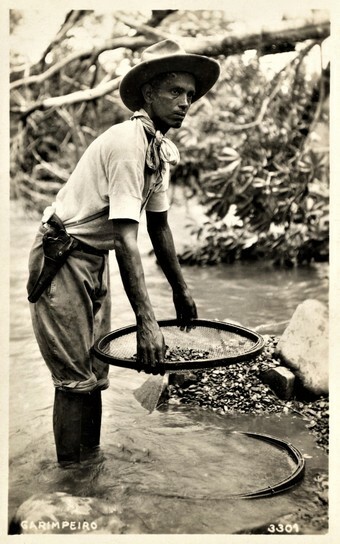 (1994) estimated that 40 million carats (plus or minus 10 million) of diamonds have been recovered from alluvial deposits in the Coromandel district since its discovery roughly 275 years ago. In 1993, however, total production for the entire year from all of western Minas Gerais had dropped to only 20,000 carats. The largest diamond ever found in Brazil, the "Presidente Vargas," weighing 726.6 carats, was discovered in 1938 along the St. Antônio do Bonito River within the Coromandel district. 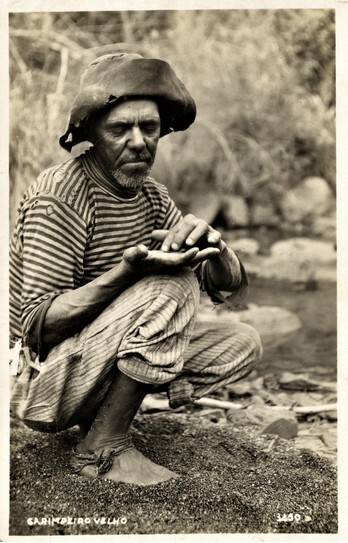 That river has been especially rich, as the second (460 ct.), fifth (400.5 ct.), and sixth (377.5 ct.) largest diamonds were also found in its gravels, as well as another five diamonds larger than 100 carats. 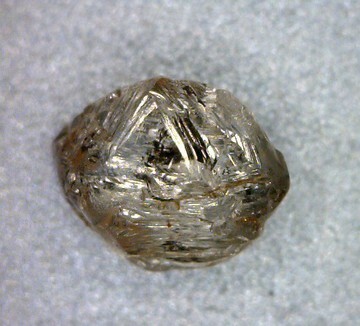 In fact, all natural diamonds from the Earth originated in the upper mantle, finding their way to the surface as a result of explosive eruptions of alkali-rich ultramafic rocks such as kimberlite. Those rock types have been found throughout the Coromandel district and beyond, and the region where they occur has been named “Alto Paranaíba Igneous Province” (also referred to as the “Alto Paranaíba Diamondiferous Province” by some authors). These ultramafics were intruded and extruded in this region during the Late Cretaceous, mostly in the interval 98-75 Ma. Numerous diatremes and pipes of kimberlite and flows and pyroclasic deposits of kamafugite have been found in the Alto Paranaíba Igneous Province. They have produced few gem-quality diamonds, however. Nevertheless, conglomerates interbedded with the kamafugitic flows and pyroclastics do contain scarce diamonds. They are common enough locally in lithified Cretaceous conglomerates to have been mined, specifically in the Romaria district and from an upland site in the Coromandel district between the St. Inácio and St. Antônio do Bonito Rivers (Karfunkel et al., 2014). So many diamonds have been found in alluvial gravels in the diamond districts of the Alto Paranaíba province that there must have been at least one, and possibly several, primary kimberlite sources in the province. Unfortunately, surficial portions of pipes, diatremes, and volcanic cones throughout the province have been intensively weathered in the subtropical climate, creating up to tens of meters of lateritic soils and obscuring surficial indications of where such diamond-bearing features may have been. 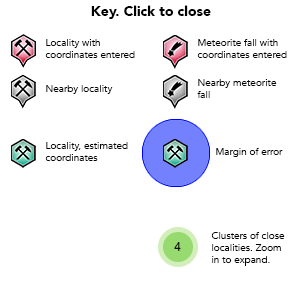 Difficulty in finding diamonds in-place in the kimberlites suggests they are/were very scarce in those sources to begin with, or were present in only a few of them. Most diamonds found in the province had been reworked from primary sources (kimberlites and related rocks) into secondary deposits including the conglomerates and surficial deposits of Late Cretaceous to Quaternary age. Other states in Brazil have also produced diamonds from Neoproterozoic and younger conglomerates, as well as modern stream gravels. Processes of weathering followed by runoff and stream action with attendant sorting and abrasion likely worked to decrease the volume of conglomerate matrix in which the diamonds were embedded. Susceptible materials would have been fragmented, replaced by clays and other secondary minerals, and transported away along with particles up to silt size including the smallest diamonds. The coarser and more chemically-resistant fraction, including diamonds of economic value, were deposited in stream alluvium that formed conglomerates during the Cretaceous. Today these conglomerates defend the broad plateau surfaces of highlands referred to as "chapadas." Diamondiferous gravels and conglomerates deposited on the hillsides are younger, and represent an intermediate stage in the reworking process (see Andrade and Chaves, 2009). Modern stream gavels are younger yet, and may contain diamonds that were eroded and redeposited more than once. At each step, processes of weathering, erosion, and transportation further concentrated the diamonds. Even after two or more episodes of this natural “high-grading,” however, diamond concentrations in stream gravels average only about 0.07 carat/m3. They fall within a sieve size range of 1.41 to 2.0 mm in the Romaria district (Karfunkel et al., 1994). Such values are not economic for any mining operations except those by garimpeiros. These economic conditions are enough to account for the fact that none of the major diamond companies that examined this region invested in establishment of large-scale diamond-mining operations. Reference: Fernandes, A. G., Karfunkel, J., Hoover, D. B., Sgarbi, P. B. de A., Sgarbi, G. N. C., Oliveira, G. D., Gomes, J. C. de S. P., and Kambrock, K., 2014, The basal conglomerate of the Capacete Formation (Mata da Corda Group) and its relation to diamond distributions in Coromandel, Minas Gerais state, Brazil: Brazilian Jour. of Geology, v. 44, no. 1, p. 91-103. Reference: Chaves, M. L. S. C., and Svisero, D. P., 1993, Características geológicas e origem conglomerados diamantíferos das regiões de Diamantina (Mesoproterozóico) e de Romaria (Cretáceo Superior), Minas Gerais: Boletim Instituto Geociências, Univ.São Paulo, Séries Cient., v. 24, p. 49-57. Reference: Andrade, K. E., and Chaves, M. L. S. C., 2009, Geologia e a redistribuição sedimentary pós-Cretácica dos depósitos diamantíferos da região ao sul fe Coromandel (MG): Geonomos, v. 17, no. 1, p. 27-36. Reference: Fernandes, A. G., Karfunkel, J., Hoover, D. B., Sgarbi, P. B. de A., Sgarbi, G. N. C., Oliveira, G. D., Gomes, J. C. de S. P., and Kambrock, K, 2014, The basal conglomerate of the Capacete Formation (Mata da Corda Group) and its relation to diamond distributions in Coromandel, Minas Gerais state, Brazil: Brazilian Jour. of Geology, v. 44, no. 1, p. 91-103. Chaves, M. L. S. C., Dupont, H., Karfunkle, J., and Svisero, D. P. (1993): Depósitos diamantíferos de Minas Gerais: Uma revisão. Anais do I Simpósio Brasileiro de Geologia do Diamante, Cuiabá, Edição, UFMT: 79-100. Karfunkel, J., Chaves, M. L. S. C., Svisero, D. P., and Meyer, H. O. A. 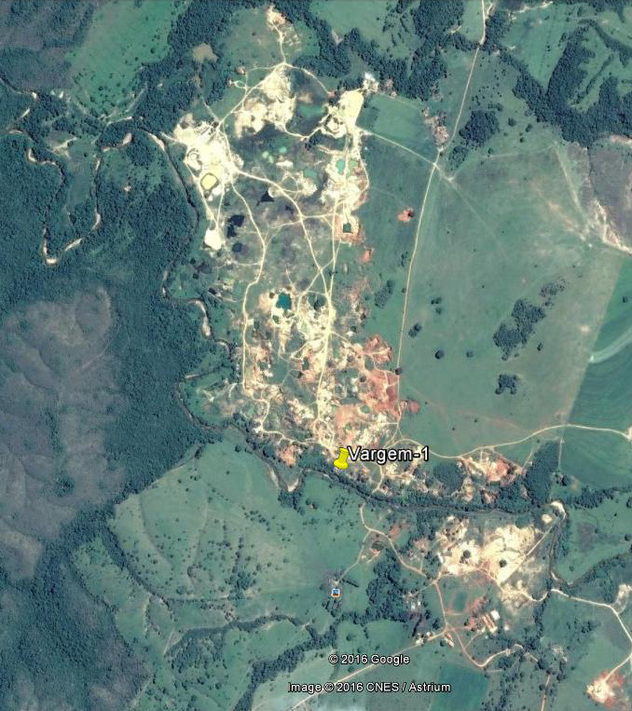 (1994): Diamonds from Minas Gerais, Brazil: An update on sources, origin, and production. International Geology Review, 36:1019-1032. 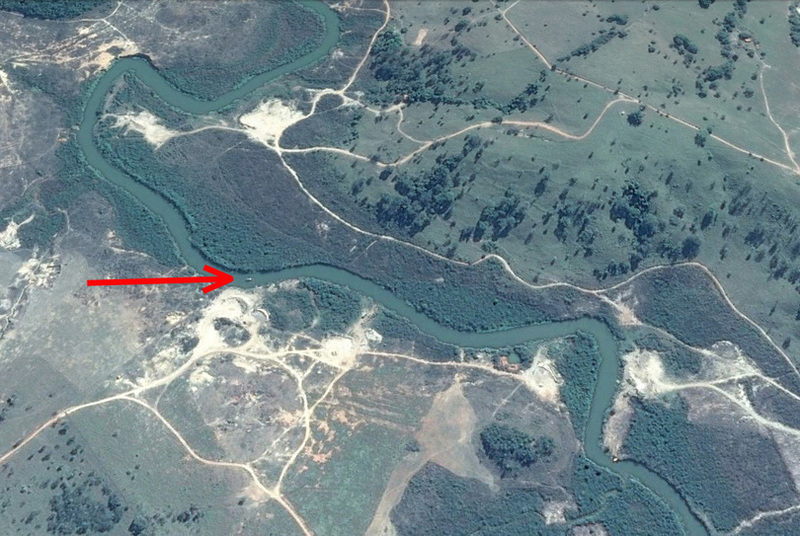 Machado, I. F., and Figueirôa, S. F. de M. (2001): 500 years of mining in Brazil: a brief review. Resources Policy, 27:9-24. Andrade, K. E., and Chaves, M. L. S. C. (2009): Geologia e a redistribuição sedimentary pós-Cretácica dos depósitos diamantíferos da região ao sul de Coromandel (MG). Geonomos, 17(1): 27-36. Fernandes, A. G., Karfunkel, J., Hoover, D. B., Sgarbi, P. B. de A., Sgarbi, G. N. C., Oliveira, G. D., Gomes, J. C. de S. P., and Kambrock, K. (2014): The basal conglomerate of the Capacete Formation (Mata da Corda Group) and its relation to diamond distributions in Coromandel, Minas Gerais state, Brazil. Brazilian Jour. of Geology, 44(1): 91-103.